The procedure for obtaining Russian citizenship by citizens of Ukraine is not different from common people from the majority of the CIS countries. It depends on the grounds for obtaining Russian citizenship in each case. On this issue it is necessary to contact the Federal migration service or the Russian Consulate. - a package of documents in accordance with the requirements of the Federal migration service or the consular post. One of the grounds for obtaining citizenship of the Russian Federation serve kinship with the Russians. Usually, it occurs if the citizenship of the Russian Federation who has a parent or husband (wife). Grounds for obtaining citizenship of the Russian Federation is also the end of the contender of Russian vocational educational institutions,from vocational schools or school (former vocational school) and College (College) or University. In other cases, the foreigner, including the Ukrainian, who has lived in Russia not less than 5 years, can try to become a citizen within the quota established by the authorities of the region of residence. In most cases, foreigners must first obtain a temporary residence permit. For this you need to contact the migration office serving the address of his intended stay in Russia. This can be housing relatives, own (in this case the least of the problems) or removable if the owners don't mind the design of the sun and subsequently a residence permit (to be difficult). In addition to providing the necessary documents, you will need to pass a medical examination. The temporary residence permit is granted for three years, then it must extend for the same term, which confirm the availability of funds for the one-year stay in Russia (certificate from the Bank or from work). For graduates of Russian educational institutions provides for a special procedure. 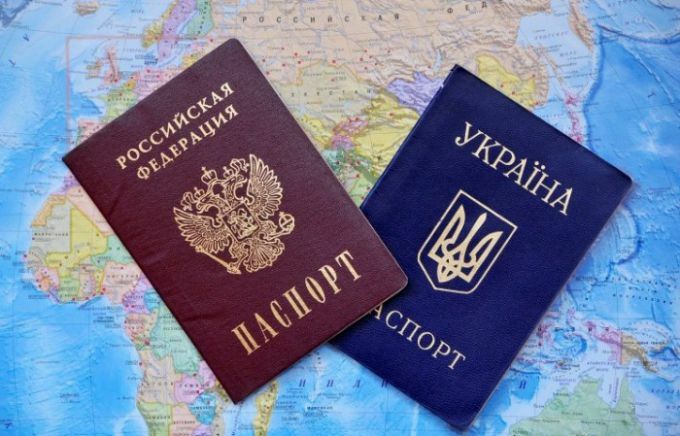 They should apply directly on the question of the adoption of citizenship in consular offices of the Russian Federation in Ukraine, located in Kyiv, Kharkiv, Simferopol and Lviv - depending on the Ukrainian residence of the applicant. To obtain the list of necessary documents, requirements to know the size of consular fees and the distribution of regions in terms of their consular districts can be found in Russian diplomatic missions. Is this information on the website of the Russian Embassy in Kiev. Prerequisite - Russian diploma must be received no earlier than summer 2002. Citizens of Ukraine who legally lived in Russia five years, it is necessary to address in territorial departments of the FMS at the place of registration in Russia. There will tell them a package of necessary documents, requirements, the size of state fees and details for their payment. Turning the FMS requires a notarized copy of the letter to the Consulate of Ukraine with the denial of her citizenship and receipt of its dispatch. From the point of view of the official authorities of Ukraine this paper is a useless scrap of paper. Those interested can contact the Consulate or the competent authority in the country (depending on the availability of permanent residence in the Russian Federation, issued in Ukraine) prescribed in the local laws procedure. In practice, few people do it, and most remain citizens of two States.